Tires are one of the most critical components of your vehicle, making routine tire maintenance extremely important to ensure that your vehicle maintains optimal performance and safety. Having your tires rotated regularly will help prevent uneven wear, reduced fuel efficiency, poor handling and shortened tire life. 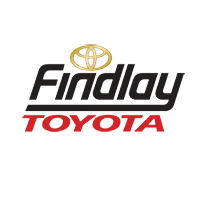 In order to help you protect your vehicle and investment, Findlay Toyota is proud to provide tire maintenance in our state-of-the-art Toyota Service Center in Henderson, NV. Are Your Tires Safe? Try the Penny Test! Not sure if your tires are in safe driving condition? There are a number of methods that can help you know if it’s time to replace a tire. One of the simplest methods is called the Penny Test. All you’ll need is a penny and a few minutes of spare time! Regardless of each tire’s physical condition, improper air pressure will cause it to underperform — or even damage it. Maintaining the recommended level of air pressure in your tires is one of the easiest ways to preserve the life of your tires and allow them to provide you and your vehicle with the best level of performance possible. 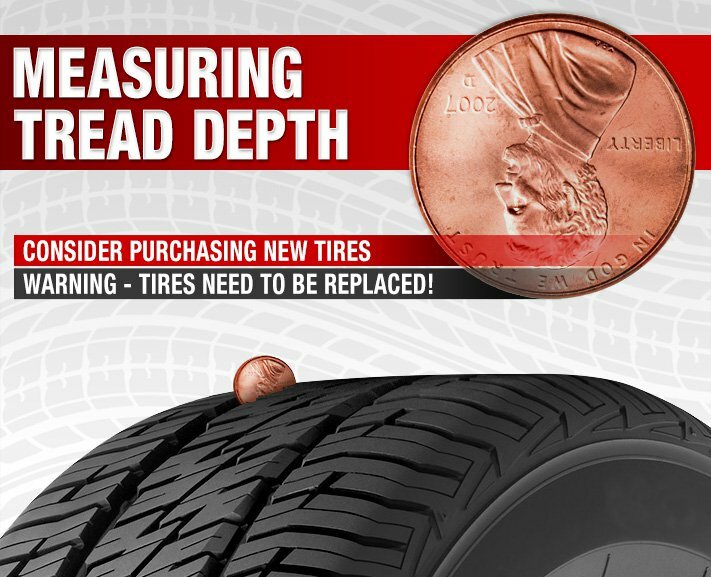 There are a few different ways your tires’ air pressure levels can change. Obviously, if your tire is punctured in any way, air pressure will be lost, and you’ll have to replace the tire. Something as simple as the outside temperature can also affect tire pressure, though. As the weather cools, air contracts and reduces pressure (and vice versa). In addition to checking air pressure regularly for small losses in pressure, be sure to check your tires whenever there’s a significant change in temperature or season. Similar to how certain parts of your shoes wear depending on how you walk, certain parts of your tires can wear more quickly based on how your vehicle drives. The easiest and most effective way to prevent this is to have them balanced and aligned regularly, based on professional recommendations. While the science and technology of tires have advanced over the years, resulting in a reduced need to have these services performed as frequently, it’s not something you want to forget about. If you’d like the wear of your tires assessed, be sure to stop by Findlay Toyota for an inspection. In addition to preserving the performance and life of your tires, proper tire air pressure can also help your vehicle return better fuel economy. According to the United States Department of Energy, properly inflated times can return an additional 3.3 percent to your vehicle’s current fuel economy scores. When your tires aren’t properly inflated, your vehicle has to work harder to bring you to your destination, and inclement weather or adverse driving conditions only make the problem worse. Be sure to check the recommended PSI for your vehicle that’s found inside the driver’s door jam, versus the number found on the side of your tire to provide the best results. Selecting a tire without any extra information can be overwhelming. There are economy options, performance options, top-of-the-line options and more. When the need arises for you to equip your vehicle with a new set of tires — or if you simply need to replace one or more — visit our friendly technicians at Findlay Toyota. Our professional staff will help you select the tire that best suits your vehicle and meets your need. Keep in mind that selecting the proper tires for your vehicle will improve overall performance and provide you with the largest return on your investment. Serving the greater Las Vegas, NV area, we continue to offer the most reliable tire brands at competitive prices! Whether you’re shopping for new tires or find yourself in need of a tire inspection, alignment, rotation or balance, Findlay Toyota is here to serve our customers from Henderson, Reno, Winchester and Paradise!